While the Western Empire crumbled, the Eastern Empire was at its ascendency, and would become the Eastern Roman Empire. 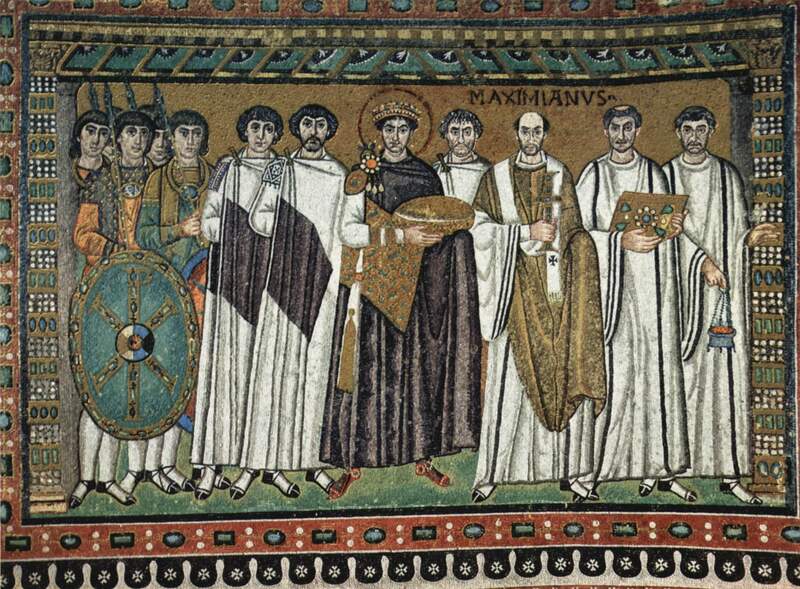 At Ravenna, the court of the Byzantines developed their own style and architecture. The mosaics in the interior of San Vitale Basilica represent that emerging style.